On November 2, 2017, a shift in the majority in Parliament took place creating the basis for the transfer of governing responsibility to a new team of Ministers. Today, almost two and half months later we have before us a council of ministers supported by the new majority in Parliament. During the formation period for this interim cabinet, I consulted with various persons and named Mr. Franklin Meyers and subsequently Mrs. Sarah Wescot-Williams as formateur to form an interim government. You have, as a result, just witnessed the transfer of executive responsibility for the governance of our country to a new team of Ministers. The path to this transfer was not without challenges. To all who gave their input to the transition and formation process I hereby express my gratitude, also on behalf of the people of Sint Maarten. And in particular, I wish to thank Mr. Franklin Meyers for starting and Mrs. Sarah Wescot-Williams for completing the formation assignment as formateurs. Having concluded the formation process it is important to emphasize that we are - as I stated in my New Years address - living at a pivotal moment in our nation’s history. Hurricane Irma and her aftermath have set our country back in no small way. And while we have made great strides to date we have quite some work to do. Quite some work to meet the urgent challenge of rebuilding Sint Maarten. We, The people of Sint Maarten, are determined to work with each other; We believe in the principle of democracy, We believe in the rule of law; We believe in the entitlement of all individuals to the fundamental rights and freedoms; We wish to create a constitutional order based on an open and approachable government; And to record our objectives and convictions, We therefore agree that the provisions of the constitution shall have the force of law. As such it provides an anchor and blueprint for individuals, households, corporations, public organizations and government, to work together to rebuild Sint Maarten and improve the lives of our people. 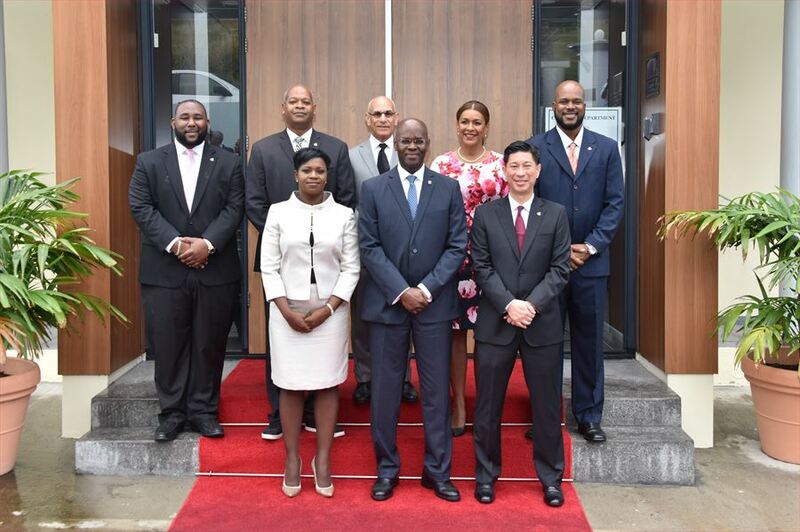 Today, two and a half months since the previous team of Ministers made their positions available you come before the people of Sint Maarten as a new team of ministers. A new team faced with the responsibility of, among others, furthering the recovery process in cooperation with the Netherlands, revisiting the budget for 2018, executing the agreement with the Netherlands on border control, implementing the law on the integrity chamber and executing the February 26th elections. With respect to the furthering and planning of the recovery I encourage you to take steps to meet the urgent needs of our people in terms of, among others, employment and housing. As you assume your mandate to govern this beautiful country, I trust that you, in keeping with your oath, will work to fortify our constitutional principles aimed at improving the wellbeing of our people. Accepting the position of Minister through the taking of the oath today, is a solemn expression of your commitment to perform your duties with integrity. It is your pledge of allegiance to the King and the Kingdom Charter, it is your individual declaration to always uphold the Constitution of Sint Maarten and it is your solemn affirmation to always dedicate yourself to foster the wellbeing of the People of Sint Maarten. Through your oath, you have accepted the obligation to serve all the people of Sint Maarten. The fulfillment of this obligation must be based on the principles of democracy, on the rule of law, on respect for the fundamental rights and freedoms of all persons and anchored in our determination as a people to work together. In that regard, there rests on you, individually as Ministers, and jointly as Council of Ministers a great responsibility. Your decisions will have lasting influences on the lives of the people of Sint Maarten. Thus, as you deliberate on taking action on the matters before you during your governing period, I wish you wisdom, individually and jointly, in the conduct of your responsibilities as you seek to meet your constitutional responsibility to the people of Sint Maarten. With that in mind, I hereby congratulate the people of Sint Maarten with the installation of this new government and similarly congratulate each of you and your families with your appointments as Prime-Minister, Ministers and deputy Minister Plenipotentiary. Thank you, God bless you and May God Bless Sint Maarten and protect its coast.